I was taking a stroll at the Morning Market in Luang Prabang and found a merchant selling honey and honey bee hive. She has one jar of honey left and some honey bee hive for sale. 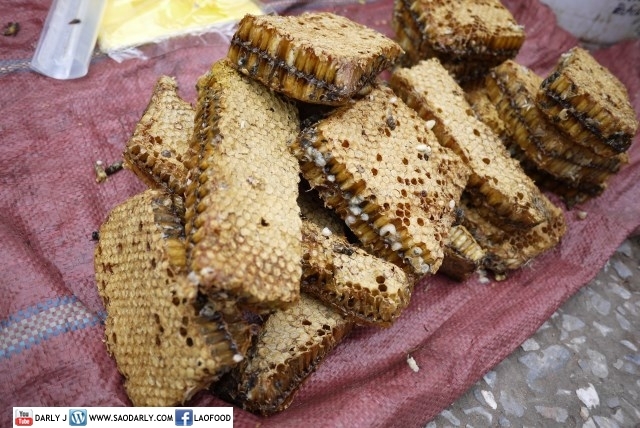 There was also another merchant selling honey bee hive and even grilled honey bee hive. 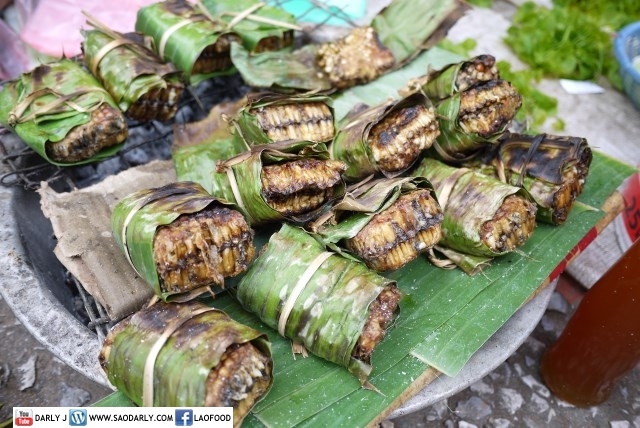 I have seen grilled honey bee hive for sale in Vientiane back in 2008 but I don’t know how it would taste. I wanted to buy a bottle of the honey but was not sure of its purity. 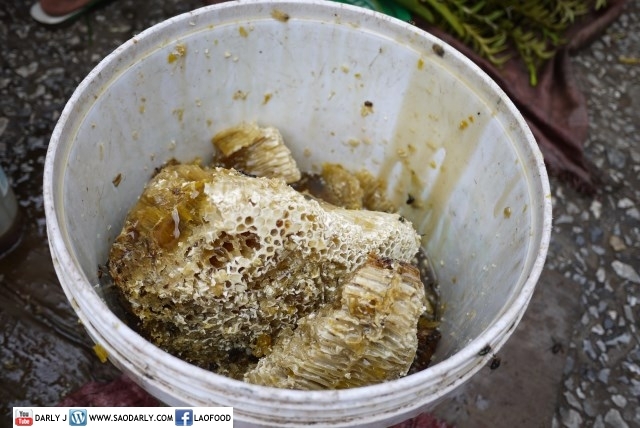 I have heard many stories from my relatives in Vientiane and Pakse about how the merchant would mix the honey with sugar and something else and how it is quit difficult to find a trusting source for real honey. 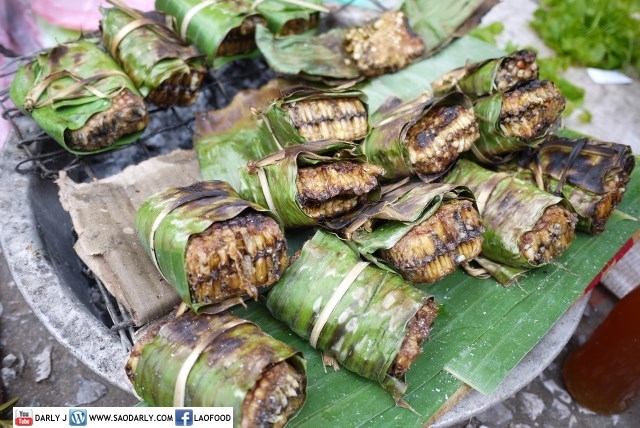 My relatives in Champassak would say to my parents unless you have you trust that would go into the forest to bring back the honey for you, then most likely the honey you buy is not as pure as it used to be years ago. In fact many of my relatives in Vientiane would travel across the border to Thailand to bring back jars or bottles of honey and they claim is the real deal and can tell how pure the honey is than what they can find in Laos.